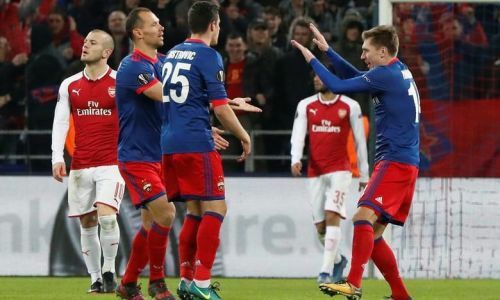 Arsenal held on to a 2-2 draw against CSKA Moscow in the quarterfinals of the UEFA Europa League and punched their ticket to the final four of the competition. It was CSKA who went ahead through Fedor Chalov in the 39th minute in an uneventful first 45 minutes. Five minutes into the second half and Kirill Nababkin scored to make it 2-0 to give the Russian club a huge sniff of scalping an upset. But, CSKA's hopes of staging any sorts of a comeback were shattered when Danny Welbeck scored in the 75th minute. 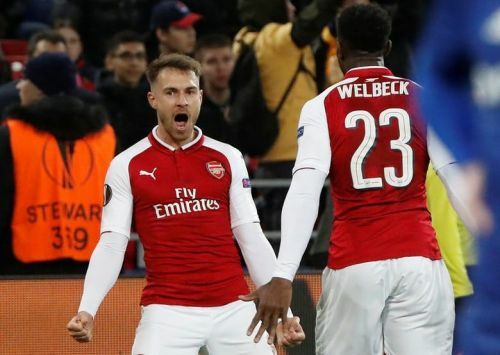 A goal towards the closing stages of the game from Aaron Ramsey gave Arsene Wenger's side a draw on the night, a 6-3 triumph on aggregate and qualification to the semi-finals. Akinfeev did not have much threat on his goal in the entire game but did make a good save to deny Arsenal their equalizer in stoppage time. Two goals went past him and there wasn't much he could do to prevent both of them. The big Russian centre-half was the most impressive of the CSKA back three defensively as he eliminated Lacazette's aerial presence by winning four headers. Ignashevich playing in the middle of the back three was one of CSKA's standout players on both the ends of the pitch. In an attacking sense, the Russian played in an astounding 13 long balls to the Arsenal box. Berezutski put in a total of five clearances and two tackles along with a passing accuracy of 84%. Bistrovic's was brilliant in front of the back three as he made five tackles in the game, breaking several Arsenal attacks and recovering the ball as well completing four dribbles before being substituted in the 71st minute for an attacking player. Golovin put in an excellent shift in the centre of midfield completing 87% of his passes, putting in four long balls and also testing Petr Cech with a couple of shots on target. Dzagoev is arguably CSKA's most creative players but unfortunately for him, he was forced to come off in the 37th minute due to injury. Kuchaev was average playing on the left wing finding just two key passes and one successful cross as well as failing to have a single shot on goal and was dispossessed a total of five times. Nababkin created a good number of chances for himself and eventually got on to the scoresheet in the second half to double CSKA's lead. The 20-year-old capitalized on the rebound from Petr Cech's save to give CSKA the lead in the 39th minute. The Brazilian replaced Alan Dzagoev in the first half and it was just a matter of minutes before he created a decent opportunity. Replaced Bistrovic in the 71st minute.